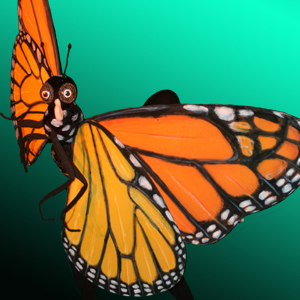 Take a microscopic look at the insect world on the big stage! From her tiny egg we will follow the Monarch Butterfly as she grows through her caterpillar state and makes the amazing metamorphosis in the chrysalis and her incredible 1,500 mile journey to Mexico. With her insect companions she will learn about her symbiotic relationship with Milkweed. She depends on it for food, home, and her unique form of defense against predators.